Psychological operations (PSYOP) are critical to the success of the U.S. Army during both war and peacetime. Yet, in 2010, the term psychological operations was deemed too menacing by the Department of Defense (DOD), which then directed the Army to replace it with a new termmilitary information support operations (MISO).1 However, these units have returned to the use of PSYOP per U.S. Army Special Operations Command (USASOC) guidance as of 27 October 2017. 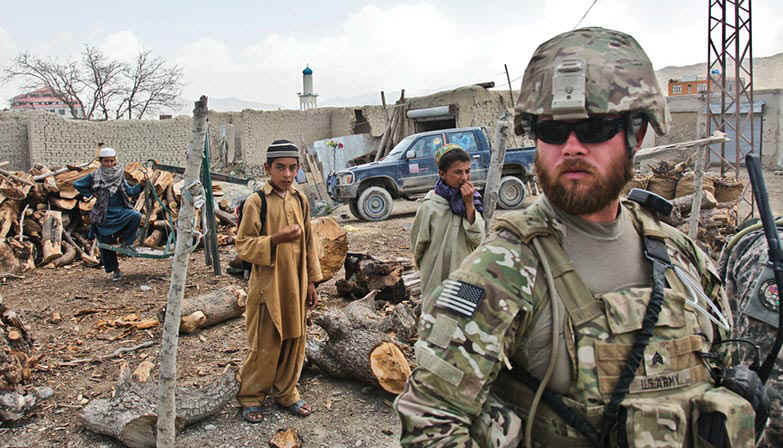 2 By understanding how this change was implemented and ultimately undone, this article seeks to provide insights for the Army to better implement future organizational changes. We focus on three key areas in this case study. First, the name change effort failed to understand and ameliorate institutional and individual resistance. Second, a compelling case to change names was never adequately communicated to the Army. Finally, because this name change was directive in nature, there was little room for involvement from those implementing the change, subsequently resulting in a lack of acceptance by those required to make the change succeed. 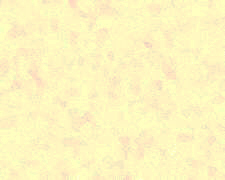 On 19 April 2011, a few months after the initial terminology change, ALARACT [All Army Activities] 162/2011 further underscored that this change in terminology only applies to the function of PSYOP and does not reflect the pending branch and regiment names.3 These documents emphasized a change in designation of the function, but not the designation of units, branch, regiment, or career management field. This still had an immediate impact on the U.S. Army PSYOP forces, which collectively consisted of over seven thousand soldiers serving in units assigned to USASOC and the Army Reserve. PSYOP has been officially defined in DOD doctrine as planned political, economic, military, and ideological activities directed towards foreign countries, organizations, and individuals in order to create emotions, attitudes, understanding, beliefs, and behavior favorable to the achievement of United States political and military objectives.4 In short, PSYOP is the function of the DOD devoted to changing attitudes and behavior in foreign target audiences; it is frequently described as propaganda outside the military. According to then Secretary of Defense Robert Gates, the term PSYOP was misleading, Although PSYOP activities rely on truthful information, credibly conveyed, the term PSYOP tends to connote propaganda, brainwashing, manipulation, and deceit.5 The stated goal of replacing PSYOP as a term was to diminish the supposed menacing connotation and negative perceptions of said term. It was Gatess hope that changing the name would encourage cooperation between the military and partner agencies in the federal government, particularly the State Department.6 As the military is a subset of our broader American culture and is heavily influenced by its external environment, the military has adapted its practices to best fit the values, attitudes, and beliefs of the larger society to which it belongs. Rebranding PSYOP to MISO was simply the most recent evolution in a series of terms that the Army utilized to describe those activities aimed at changing the minds and actions of foreign audiences. 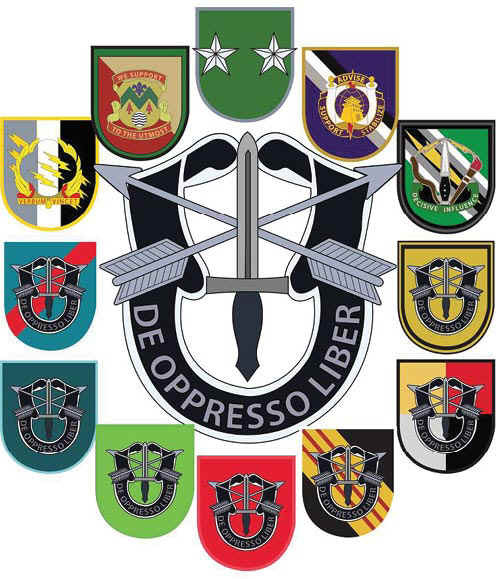 The 4th and 8th Psychological Operations (PSYOP) Groups fall under the 1st Special Forces Command at Fort Bragg, North Carolina. During World War I, propaganda was the operative term used by the Army. Gen. John Pershings Allied Expeditionary Force included a propaganda department. During World War II, the term propaganda fell out of favor for psychological warfare, while enemy activities continued to be labeled propaganda and carry a nefarious connotation. 7 During the Vietnam War, PSYOP units emerged; yet, the terms psychological warfare and propaganda were still commonly used in official military doctrine until the 1980s. Today, Army policy lists MISO as the term de jure for the function previously known as PSYOP. In U.S. Special Operations Command (USSOCOM), those active-duty units conducting MISO consisted of only two groupsuntil recently, they were named the 4th and 8th Military Information Support (MIS) Groups. Interestingly enough, within the Army Reserve, the names of the 2nd and 7th Psychological Operations Groups remained unchanged. Further complicating the situation, those conducting MISO were still referred to as PSYOP soldiers and officers, as the Institute of Heraldry deemed the branch name remain the same for the lineage of the force.8 All four groups are controlled by a PSYOP career field, which collectively constitutes the Psychological Operations Regiment. Of note, active-duty and reserve PSYOP units were united under a Civil Affairs and PSYOP Command subordinate to USASOC before 2007. 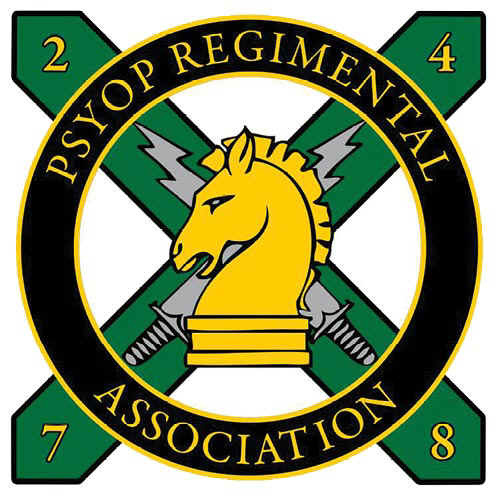 However, in 2007, the two components were divorced when PSYOP became an official branch; active units stayed under the USSOCOM umbrella while the 2nd and the 7th PSYOP groups reorganized under the U.S. Army Reserve Command. This altered the force alignment; reserve units began solely supporting conventional forces, and active-duty units began supporting Army special operations forces exclusively. Although sharing a common mission, organization, and history, the active-duty and reserve units were now separated by an ocean of Army culture and bureaucracy. For a change effort to succeed, an organization must first understand and then ameliorate institutional and individual resistance to change. Famous social psychologist Kurt Lewin has described individual behavior as a function of personality and the forces of the external environment operating on the individual.9 These include driving forces that push an individual or organization to behave in a certain way and restraining forces that inhibit or resist the new behavior. The architects of the change effort from PSYOP to MISO never adequately understood or planned for those forces operating to resist implementation. and the two reserve component PSYOP groups are the 2nd and the 7th. There were a litany of restraining forces. To start, as a term, MISO only partially replaced PSYOP in U.S. Army lexicon. In official Army documents, PSYOP was replaced; yet, in informal conversations, the use of PSYOP stayed very pervasive. Some soldiers had spent their entire careers as PSYOP soldiers in PSYOP units. In an ironic twist, it seems that the psychological impact of changing PSYOP to MISO was never fully considered by those ordering and implementing the change; by changing PSYOP to MISO, the very identity of those soldiers in PSYOP units were potentially questioned. Unit names, histories, symbols, and traditions are all powerful artifacts of a military units culture and indicative of a deep culture within an organization.12 Changing PSYOP to MISO was perceived as an implicit attack on the very identity of the service members who were required to implement its change. Warner Burke tells us, The phenomenon of resistance to change is not necessarily resisting the change per se but is more accurately a resistance to losing something of value to the person.13 As emotional as this change could have been, there was little thought given to the experience of the individual and collective loss felt by the organization. As mushy as it may sound, psychologically, no formal grieving period was allowed for soldiers in the PSYOP regiment to accept the loss of something so valued to their identity. Accordingly, it is understandable why MISO was only embraced half-heartedly and a move back toward PSYOP was initiated six years after the change was ordered. Many soldiers in the PSYOP regiment simply acknowledged the new naming convention as good stewards of the Army profession while silently waiting for MISO to revert back to PSYOP. The reluctance of the Army to rename the military occupation for PSYOP soldiers appears to be an ideological resistance to change. Ideological resistance differs from other forms of resistance such as blind resistance or political resistance, because individuals are genuinely motivated by a belief that the change is the wrong thing to do.14 Those within the Army felt strongly that changing the identity of PSYOP soldiers would be an attack on deeply held values of those in the organization, its history, and its lineage. This resistance was healthy for the organization and resulted in a compromise solution that, at the time, protected the identity of its soldiers while allowing an incremental change. Soldiers maintained their identification as PSYOP specialists and officers according to their military occupation. PSYOP officers continued to sign their name and rank on official documents followed by the words psychological operations (or PO), indicating their branch. However, some Army units conducting PSYOP were directed to change their name to MIS units. When USSOCOM directed the active-duty 4th and 8th PSYOP Groups to be redesignated as MIS groups, it lacked the authority to compel a name change for the Army Reserves Civil Affairs and PSYOP Command and its subordinate 2nd and 7th PSYOP Groups. This divided the force between those retaining the PSYOP designation and those adopting the MIS designation, and the reserve units seemed inclined to continue to resist changing their designation. It may be the Army Reserve deliberately rejected following USSOCOMs lead in this change to exercise its own autonomy and authority from the active-duty Army. The resistance from the 2nd and the 7th PSYOP Groups may have been an indication of something other than ideological resistance based on deeply held beliefs, but rather a form of political resistance. Those engaged in political resistance believe they have something of value to lose in terms of power or status from accepting the change.15 In this case, the 2nd and 7th Groups are subordinate to a totally different command than their active-duty counterparts in the 4th and 8th Groups. Political and ideological resistance to change must be addressed differently. Those who resist change based on ideology need to be presented with a compelling case for change using both reason and emotion. In this case, the Army, like many private corporations, produced a case for change using logic while failing to adequately address the affective and emotional aspects of change. The political resistance observed from the Army Reserve is indicative of a much larger power struggle between the active and reserve components of the Army. A compelling case was never adequately communicated to PSYOP units as to why there was a need to change the name PSYOP to something else. When people do not see a need for change, it is unlikely they will have any reason to support that change. The underlying reasons for the change from PSYOP to MISO were communicated by memorandum from the Office of Secretary of Defense and then promulgated down through the services to the actual members of the organization that would be implementing that change. Little effort was made to explain the necessity for change to those most affected. Ironically, this change in all actuality contradicted the secretary of defenses initially stated purpose. PSYOP was supposedly considered misleading and confusing to government agencies outside the DOD. In practice, the negative connotations of PSYOP was simply replaced with an unclear acronym that evoked greater misunderstanding both outside and within the DOD, causing more confusion than it cleared up.16 Even with new terminology, the mission and culture of PSYOP remained fundamentally unchanged, and there is no evidence that the change in terminology ultimately changed attitudes in the State Department. In practice, MISO simply became the function PSYOP soldiers performed. Because this change was directive in nature, there was little room for involvement from those implementing the change, subsequently resulting in a lack of commitment. The military is a stratified bureaucracy that demands orders be carried out in a swift and efficient manner. Ideally, when the secretary of defense decrees that PSYOP ought to be changed, the orders are obeyed and the change is implemented. Yet, in practice, even in an organization as predisposed to compliance as the military, resistance is still a natural result of group dynamics and organizational culture; directed changes can still be challenging to implement. The secretary of defenses memo issued guidance that directed the function known as PSYOP to be changed to MISO, but it allowed for the possibility that unit names and even the military specialty itself could be renamed something else entirely. The branch designation stayed; PSYOP officers and soldiers were still denoted as PO, but this only partially provided those most affected by the change some tangential involvement. Of particular note, on one hand, PSYOP soldiers were constrained to accept the term MISO as the function they would now be performing; on the other, they were being allowed a chance to provide feedback on what to call their profession. At the time, however, no new name or terminology was derived. Jack Brehms theory on psychological reactance tells us that individuals will resist the imposition of change.17 People value free choice; when that loss of freedom occurs, an immediate reaction is often an attempt to regain what is lost.18 The degree to which an individual resists change can be directly proportional to the choice they have when implementing change.19 Considering the directive nature of the change from PSYOP to MISO, it is no surprise that it continued to face stiff resistance within the PSYOP community; so much so that an initiative to revert to the old naming convention gained traction and the PSYOP naming convention returned as of late 2017. After reviewing how this change was implemented through the lens of contemporary organizational change theory, several insights emerge to improve the acceptance of future change efforts in the Army. First, this change effort failed to understand and reduce institutional and individual barriers to change. Second, a compelling case for change was never adequately communicated throughout the ranks, especially to those tasked with implementing the change. Third, because of the directive nature of this change, little space was available for involvement from those organizations tasked with carrying out this change. A clear understanding of this change was never adequately communicated across the organization. Yet, reason is not sufficient in itself when making the case for change. A deep understanding of the impacts outlined throughout this work would have been critical to a smooth change effort. Ideological resistance played a key role in the half-hearted implementation of MISO. Service members frequently eschewed MISO in favor of PSYOP, and within NATO organizations, PSYOP endured. This resistance aligned with a very fortuitous movement as information has now been approved by the chairman of the Joint Chiefs of Staff as the newest joint function in Joint Publication 1-0, Joint Personnel Support, encompassing the management and application of information and its deliberate integration with other joint functions to influence relevant actor perceptions, behavior, action or inaction, and decision-making.20 This indicates that psychological operations and information warfare have doctrinally become just as important as kinetic operations. Achieving compliance in the Army should be simply a matter of issuing orders and ensuring they are carried out. Yet, in this change scenario, we believe that gaining commitment was far more important that gaining compliance. When individuals are committed to a change effort, it is far more likely to succeed.21 Without addressing the underlying causes as to why PSYOP was originally viewed with suspicion, one murky term was simply obscured by another murky term that only took on the very same negative connotations it sought to eliminate. As we move into the future, many of our problems will not be solved through violence and force; author Will Staton mentioned that bullets do not kill ideas, and absent a superior ideology to complement necessary use of force, a hot war against an idea is destined to be a losing prospecta war of ideas will not be won with bullets.22 As an agent of influence, PSYOP compels the enemy to surrender or submit without the use of physicality. Now that the term PSYOP has returned, we can focus on PSYOPs ability to operate both comfortably and obliquely in the psychological battlespace within the gray matter of the adversary and foreign populations instead of confusing ourselves. Secretary of Defense Memorandum, lnterim Naming Convention, 3 December 2010. U.S. Army Special Operations Command Memorandum for record, Designation of Psychological Operations Units Assigned to the United States Army Special Operations Command, dated 27 October 2017. Secretary of Defense, Memorandum for U.S. Special Operations Command, Terminology Change from Psychological Operations (PSYOP) to Military Information Support Operations (MISO), All Army Activities (ALARACT) Message 162/2011, 19 April 2011. Field Manual 3-53,Military Information Support Operations(Washington, DC: U.S. Government Publishing Office [GPO], 2013). Alfred H. Paddock Jr., Legitimizing Army Psychological Operations,Joint Force Quarterly 56, no. 1 (1st Quarter, 2010): 8993. Memorandum for record, 27 OCT 2017. Kurt Lewin, Defining the Field at a Given Time,Psychological Review50 (1943): 292310. Marc Ambinder, Original Document: Making PSYOPS Less Sinister,The Atlantic(website), 30 June 2010, accessed 13 February 2018,https://www.theatlantic.com/politics/archive/2010/06/original-document-making-psyops-less-sinister/58947/. Both authors have personally experienced this phenomena working with various State Department personnel in a multitude of embassies abroad as well as in other contexts. A myriad of other psychological operations (PSYOP) leaders have had similar experiences. This is a very pervasive feeling across the PSYOP community and not just our own anecdotal experiences. Connie Gersick, Revolutionary Change Theories: A Multilevel Exploration of the Punctuated Equilibrium Paradigm,Academy of Management Review16, no. 1 (January 1991): 16. Warner Burke,Organization Development: A Process of Learning and Changing(Reading, MA: Addison-Wesley, 1994), 17. Warner Burke,Organization Change: Theory and Practice, 2nd ed. (Thousand Oaks, CA: SAGE Publications, 2008), 21. Meghann Myers, The Armys Psychological Operations Community is Getting Its Name Back,Army Times(website), 6 November 2017, accessed 13 February 2018,https://www.armytimes.com/news/your-army/2017/11/06/the-armys-psychological-operations-community-is-getting-its-name-back. Jack Brehm,A Theory of PsychologicalReactance(New York: Academic Press, 1966). Joint Publication 1-0,Joint Personnel Support (Washington, DC: U.S. GPO, 31 May 2016). Robert Kreitner and Angelo Kinicki,Organizational Behavior, 10th ed. (New York: McGraw-Hill/Irwin, 2013). Will Staton, A Millenials Perspective on the Legacy of Vietnam, Medium (website), 20 August 2015, accessed 13 February 2018, https://medium.com/@WStaton85/a-millennial-s-perspective-on-the-legacy-of-vietnam-21e247dde019. Maj. David Cowan, U.S. Army, is a psychological operations officer most recently assigned as the special operations liaison officer to the Combined Joint Forces Land Component-Operation Inherent Resolve. He previous served with 3rd Infantry Division, 5th PSYOP Battalion, and the U.S. Military Academy. He has masters degrees from American Military University and Columbia University, and has deployed to Iraq, Indonesia, and Qatar. Maj. Chaveso Cook, U.S. Army, is a psychological operations officer assigned as the battalion S-3 for 7th PSYOP Battalion (Airborne) at Fort Bragg, North Carolina. He has previously served in the 82nd Airborne Division, at the U.S. Military Academy, and in both the 3rd and 8th PSYOP Battalions. He holds masters degrees from the University of TexasEl Paso and Columbia University, and has deployment experience in Tajikistan, the United Arab Emirates, Jordan, Afghanistan, Iraq, Kuwait, Qatar, and Bahrain.